I make a point of calling in at the Alpine House at Kew (it is right next to the Princess of Wales Conservatory, at the top of the Rock Garden and behind the Grass Beds) as you can be guaranteed little electric jolts of colour, whatever the time of year. The clam-shell building soars above the naturalistic rock work, the show complimented by terracotta pots of more seasonally changing displays, or larger specimens. The dwarf Iris are still in bloom, so I did not need to prostrate myself full-length on the sloping floor to take their photographs again. The red Ranunculus is still, too, in flower. One member of the onion family deserves to be better known. Ipheion uniflorum has lovely star-shaped flowers that grow on long slender scapes, giving the impression of fragile beauty. But, in reality, it is robust and hardy, requiring little attention to flourish and produce sizeable clumps. It is a genus of some 10 species belonging to the Alliaceae (onion) family, most of which are seldom heard of in this country. They are more popular in the United States, where they occupy the same niche as alliums do in Britain. I. uniflorum has been grown in British gardens for more than a century, and is the only species of ipheion to be commonly cultivated. Its common name, “spring starflower”, has never really caught on and its memorability has probably been affected by several name changes – bouvardia, brodiaea, leucocoryne, milla, tristagma, triteleia, and now ipheion. Many sales outlets still use the name triteleia. Ipheions hail from Argentina and Uruguay, neither of them countries recognised for sourcing bulb plants of commercial importance. But I. uniflorum thrives there and has even become naturalised in parts of France and Britain. It is an attractive addition to a border or rockery and flowers from early to late spring (March to May), persisting well whatever the weather. The leaves in winter are narrow, pale, delicate and grass-like, forming a clump or cushion that is overtopped by the flowers, borne singly (rarely a pair) on each stem. Several flower stems are produced by each small (around 5cm/2in in circumference) pale bulb, so the general effect is a mass of upward-facing flowers against a green background. The plants die down in early summer and the flowers, which smell of sweet violets, can be cut for indoor decoration. The flower stalks are 15cm-20cm (6in-8in) tall and the flowers are flattish, 3cm-4cm (1in-1½in) across with the tepals uniting to form a daffodil-like perianth tube that encloses the bright- orange stamens. Apart from the perennial border, ipheion can flourish in the alpine house or cool conservatory and can be forced successfully to flower indoors in bowls or pots in the depth of winter. Most uniflorums are white or pale blue but the darker colours, or violet blues, are equally attractive. Uniformly coloured stocks of named cultivars include ‘Wisley Blue’ and ‘Froyle Mill’, the former being named after the RHS garden and the latter after the garden in Hampshire where a dark-flowered variety was spotted and multiplied. ‘Wisley Blue’, which has flowers of a clear lilac-blue, is particularly charming. Both these named cultivars have been selected for RHS awards of garden merit. Irrespective of the main flower colour, the perianth parts are often tinged with blue or a darker shade of flower colour, often with a contrasting mid-vein. I. uniflorum is hardy to -15C and is damaged only by prolonged hard frost. Both bulbs and leaves smell slightly of onions (or garlic) if bruised. I find that the deep-rooting bulbs grow best when planted between September and November, in well-drained gritty or gravelly soil and preferably in full sun – although some recommend light-dappled shade and protection from strong winds and hot midday sun. It is a plant that thrives on being left alone. Each bulb produces several scapes and attractive large clumps form quickly. These need not be lifted for thinning or replanting for four or five years. Do this after the leaves have died down. 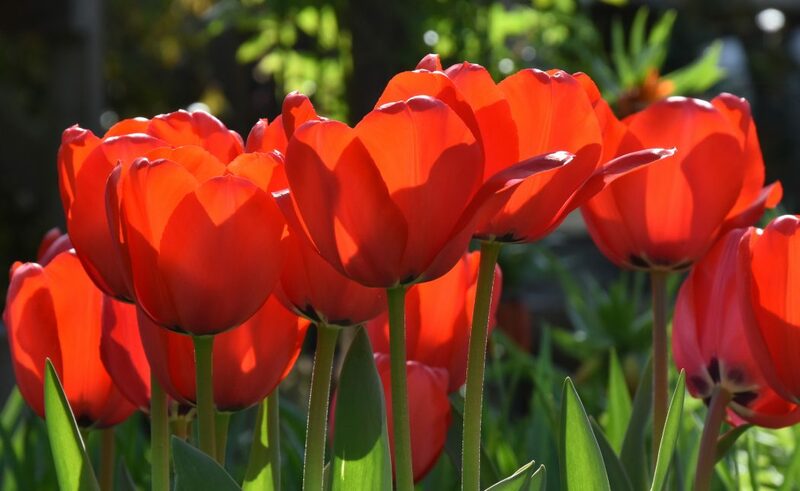 For best flowering, select a sunny planting site and, when planting new bulbs, set them about 7.5cm (3in) apart and 7.5cm (3in) deep, measuring to the base of the bulb. Ipheion is normally propagated by lifting part of a clump in late summer and separating and transplanting some of the larger bulbs elsewhere. This is obligatory for named cultivars to ensure their genetic homogeneity. Propagation from seed in spring, while effective, could lead to a mixed stock. Although I tend to plant the bulbs in full sun, ipheion flourish under light deciduous shade, provided they are allowed sufficient space. Attractive companions are other “minor” bulbs such as muscari, dwarf iris, snowdrops and scillas, planted in drifts to provide complementary form and colour in springtime. Avon Bulbs, Burnt House Farm, South Petherton, Somerset (01460 242177; www.avonbulbs.co.uk). Broadleigh Gardens, Taunton, Somerset (01823 286231; www.broadleighbulbs.co.uk).